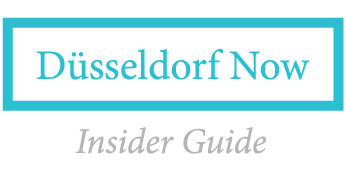 On the lookout for great events in Düsseldorf this week? We have you covered. Try a variety of delicious local cuisine as 58 restaurants in and around Düsseldorf present creative menus. Bon appétit! Celebrate the arrival of Spring at this lively nighttime event with shopping, dining and drinks in the area around Lorettostrasse in Unterbilk. Get inspired and discover new gear at Cyclingworld 2018, Germany’s new show for cycling culture. About 180 exhibitors attended last year, so allow plenty of time to explore everything. La Bonne Affaire is a French fashion market in the lobby and the 1st floor of the 25hours Hotel Das Tour. Enjoy champagne, petits fours, French chanson music, and a (networking) party at The Paris Club starting at 6 pm. Try a tasty variety of Asian street food from numerous stands, serving up everything from sushi to exotic papaya salad. Are you interested in new career opportunities? The Master of Business Administration (MBA) is a great investment in your future. The upcoming MBA Event in Düsseldorf offers personal talks, advice from MBA experts and lectures by top business schools. Registration is free and includes a free CV check, career counseling, access to scholarships and more.